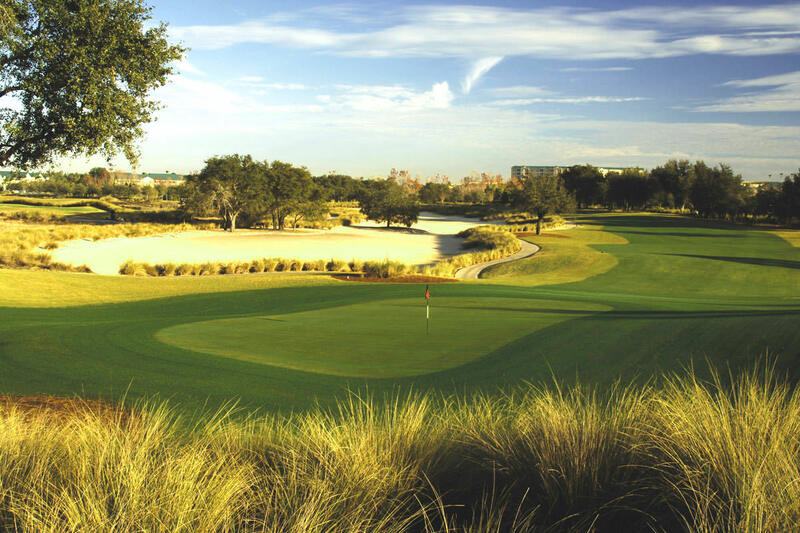 Falcon’s Fire Golf Club is recognized both regionally and nationally as one of the finest public golf courses in Orlando. 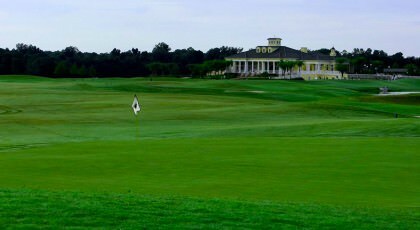 A Rees Jones designed championship golf course and spacious clubhouse offer guests a spectacular venue for any occasion. 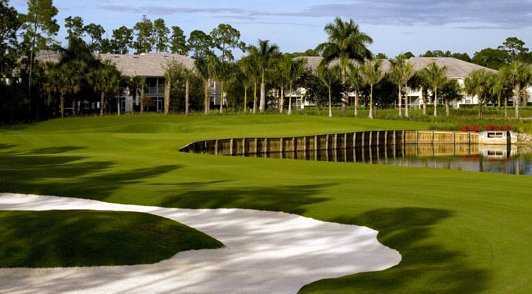 Designed by PGA Tour professional and NBC golf analyst Gary Koch the course incorporates much of the natural surroundings preserving existing topography throughout its 156 acres. 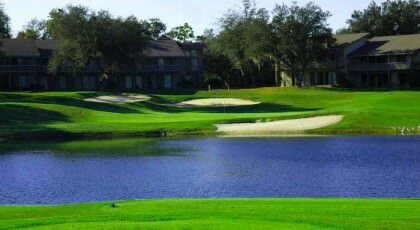 Eagle Creek Golf Club is an 18-hole 7198 yard-Par73 championship Orlando golf course opened in 2004 and located minutes from Orlando International Airport. 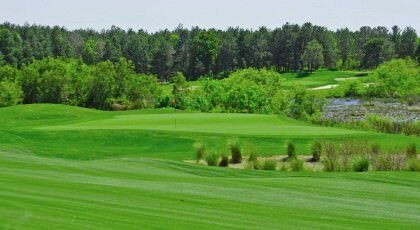 Eagle Creek has five par 5's five sets of tees and over 90 bunkers that are reminiscent of those found in Scotland and England. 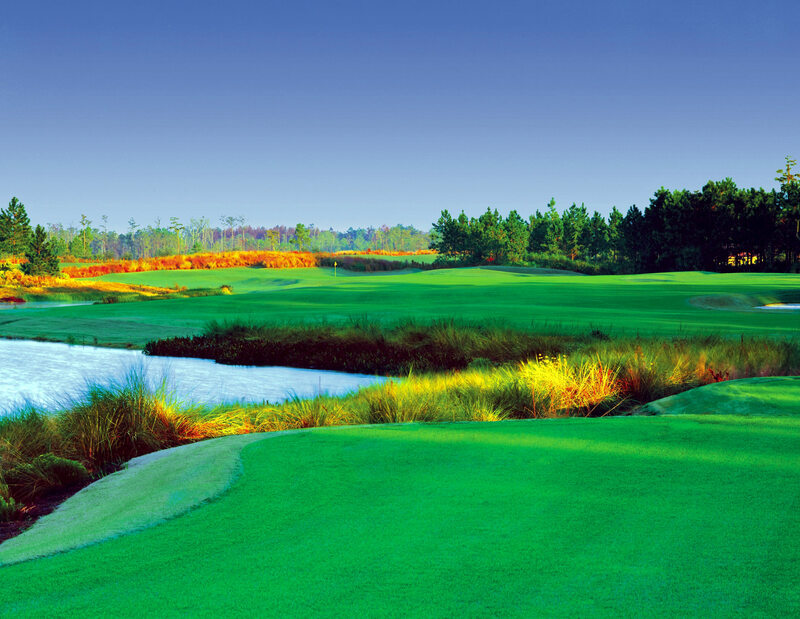 Orange County Nation Golf Center offers two courses: Panther Lake and Crooked Cat. 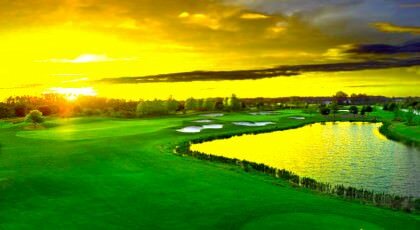 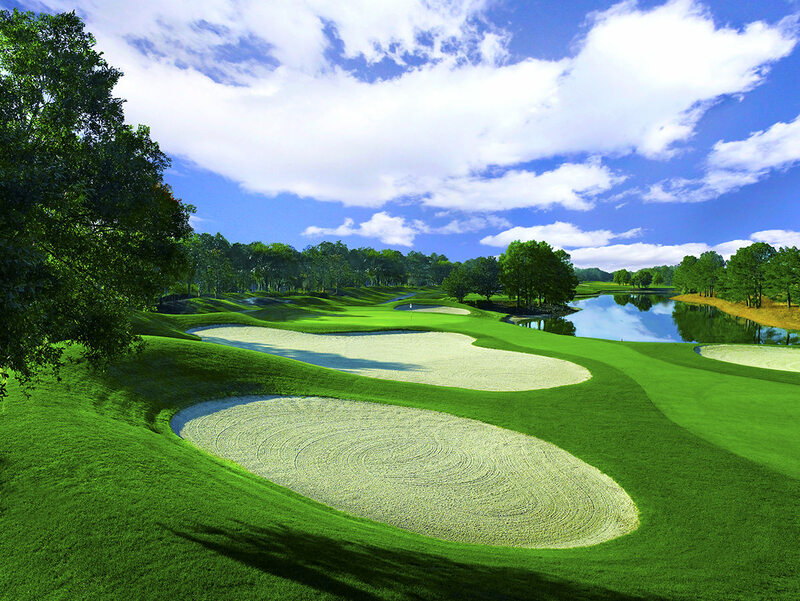 Panther Lake is the first course and world’s only course ever designed to feature 18 signature holes. 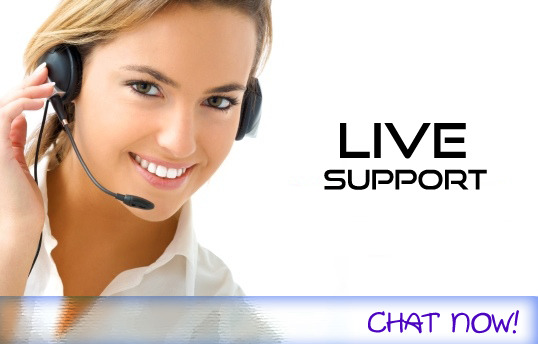 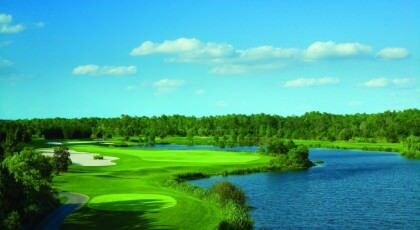 It showcases the native beauty of Florida’s landscape and in spectacular fashion. 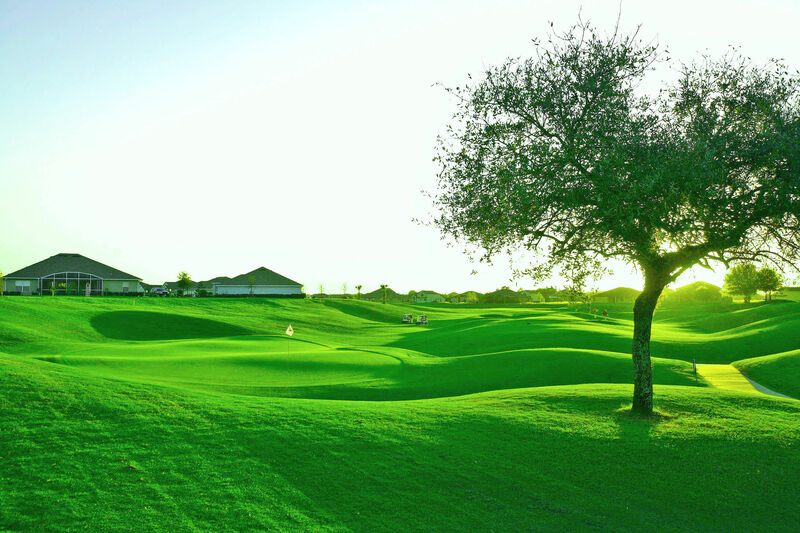 The sheer variety of the holes will astound you and make you think you are playing on different continents rather than a few yards apart. 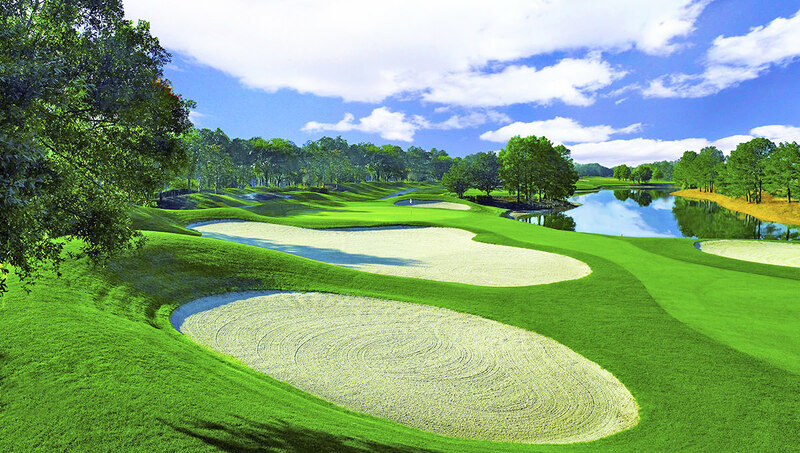 Designed by Arnold Palmer this 7072-yard championship course offers two distinct play experiences. 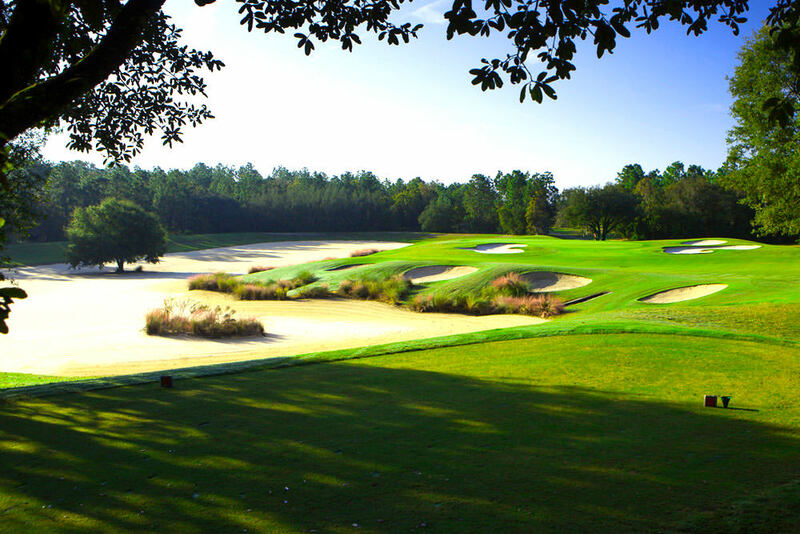 Scottish-style golf is featured on the front nine; while the towering pines majestic oaks winding fairways and flowing water on the back nine are reminiscent of the Carolinas. 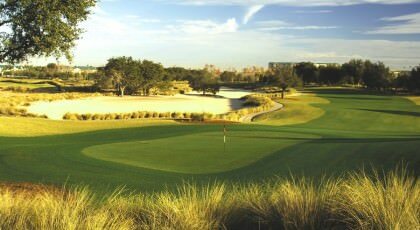 International Golf Club at Deer Island is Central Florida's most unforgettable golf experience. 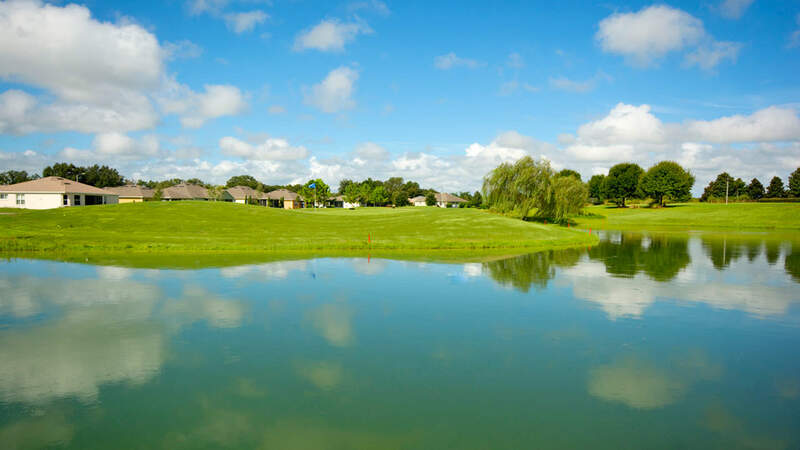 Enjoy the panoramic views and wildlife as Deer Island carves its way through the environmentally protected Florida wetlands. Accentuated with water on every hole and Joe Lee's signature finger style bunkering International Golf Club Deer Island is a golf course with true character. 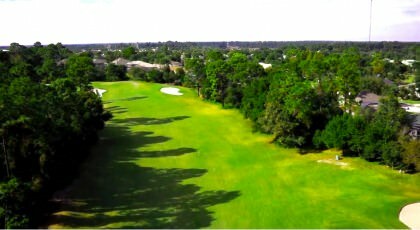 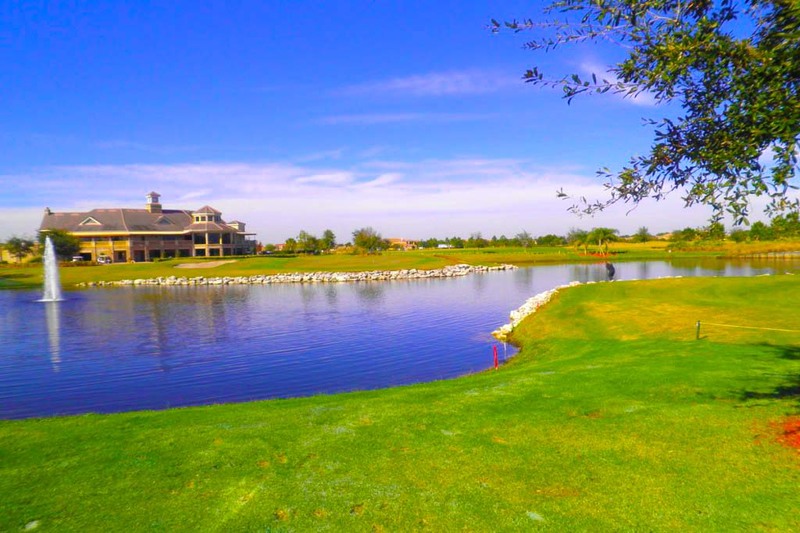 Ridgewood Lakes Golf & Country Club has had many accolades over its history and for good reason. 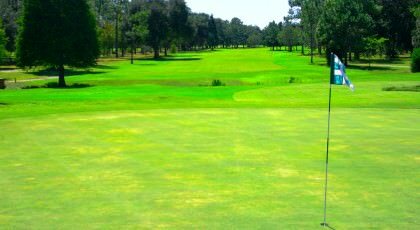 The par 72 7016 yard Ted McAnlis layout is sculptured from lush rolling land and features immaculate playing conditions year round. 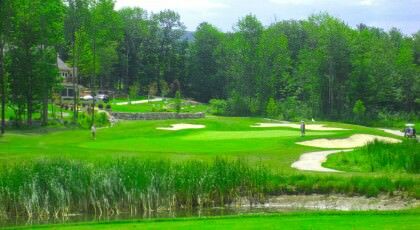 Harbor Hills superb Lloyd-Clifton designed par 72-championship golf course was rated 4 stars by Golf Digest. 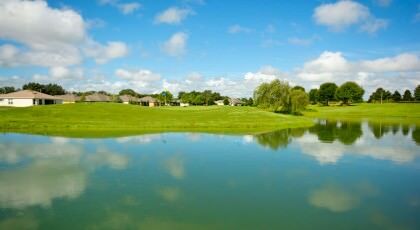 Be swept away by our scenic elevations extra wide mature oak tree lined fairways and tranquil setting. 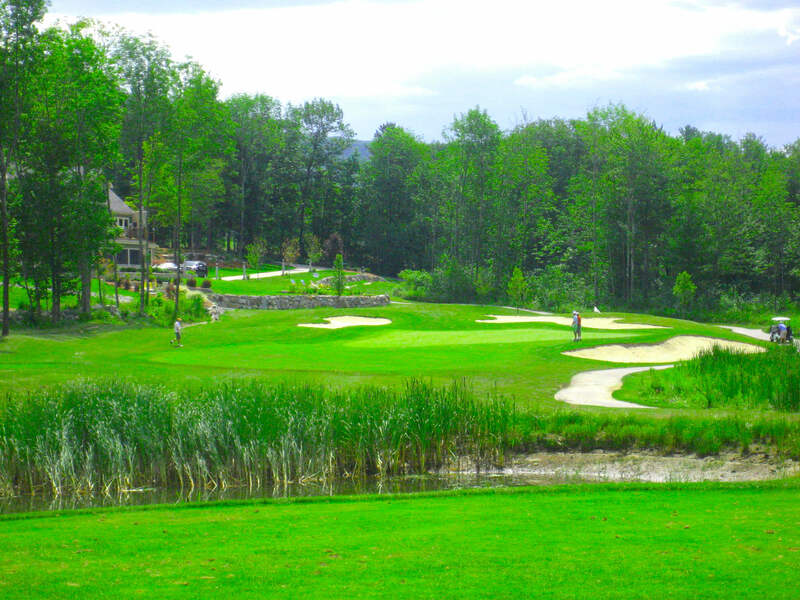 The 18-hole championship course designed by renowned architect Mike Dasher will test your game and soothe your senses as it winds its way through land featuring fresh water creeks ancient hardwoods and wetlands. It is not unusual to get a glimpse of otters deer or a wild turkey during your round. 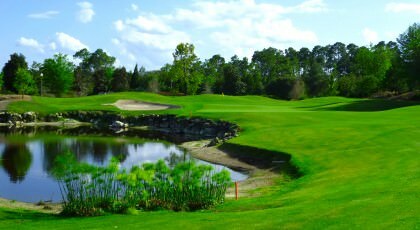 Black Bear Golf Club opened in 1995 features some of the most unique holes in Central Florida. 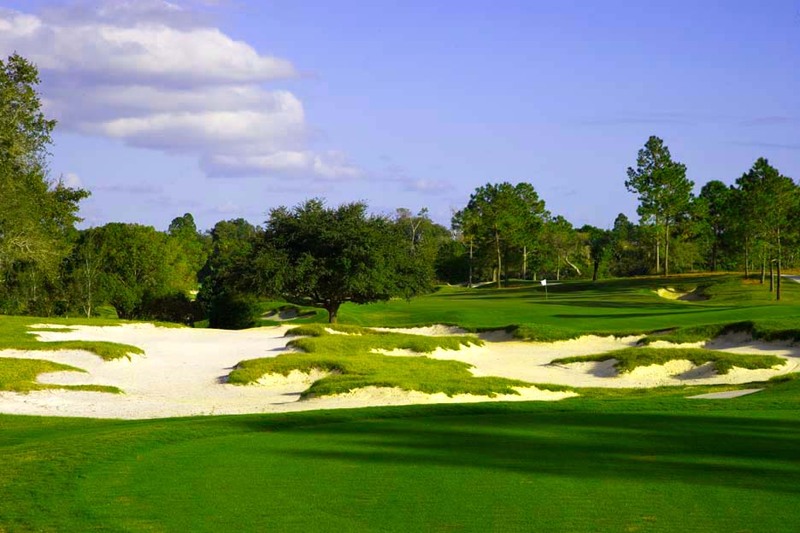 The course is a P. B. Dye designed Championship 18 hole links style par 72 golf course.The Black Bear layout extends well over 7000 yards and features undulating greens dramatic fairway elevation changes and over 120 natural sand bunkers set in pristine Central Florida surroundings. 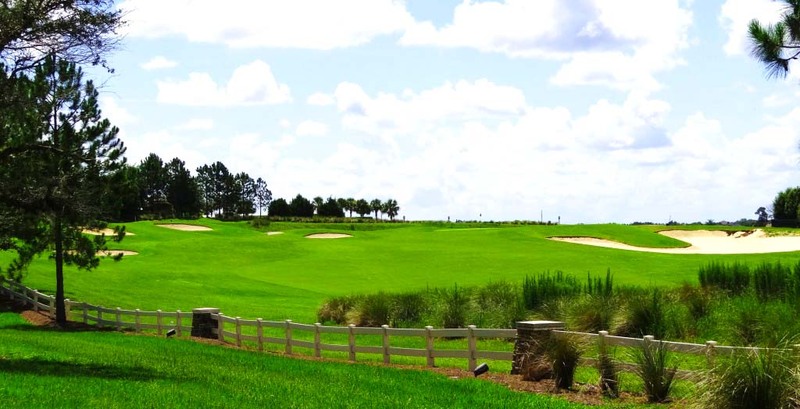 At Grenelefe Golf and Tennis Resort enjoy the finest Golf that Central Florida has to offer. 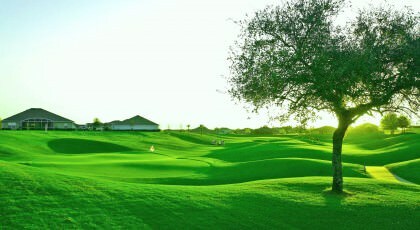 Grenelefe features two spectacular courses along with practice facilities. 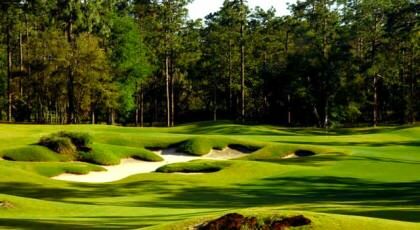 Golf packages group rates and golf instruction are available. 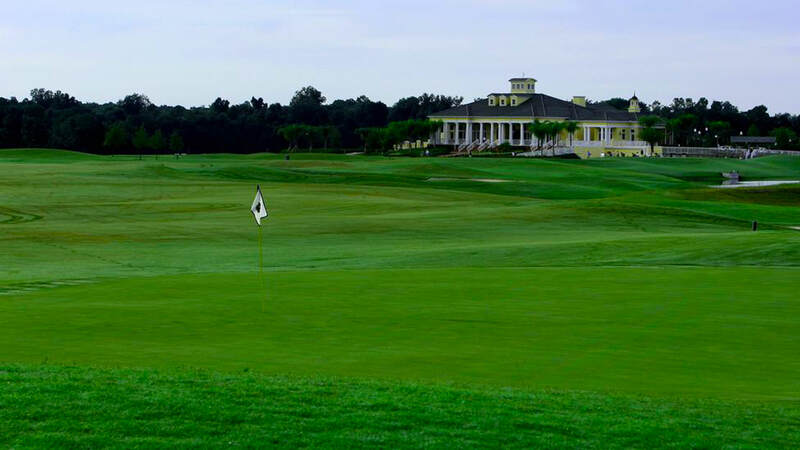 DeBary Golf & Country Club offers a beautiful clubhouse combining formal Florida elegance and outstanding amenities. 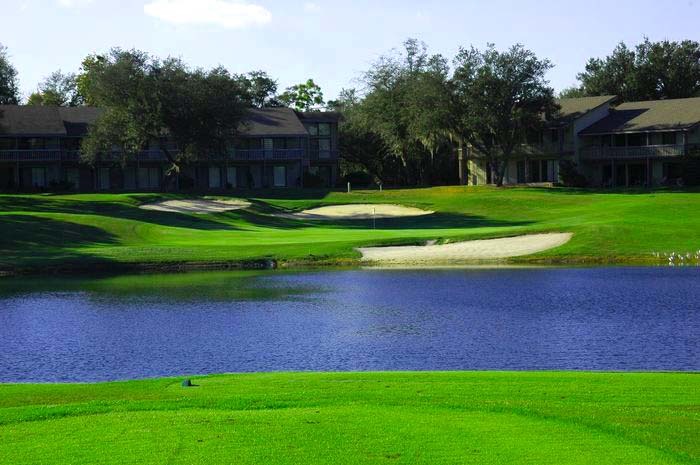 With great course conditions undulating fairways and greens that roll true and fast it's no wonder that DeBary is consistently chosen as a U.S. Open Qualifying site. 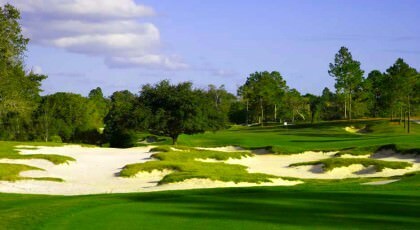 Designed by architect Ron Garl Victoria Hills Golf Club in Deland Florida is a stunning course which perfectly captures the natural rolling landscape of the area. 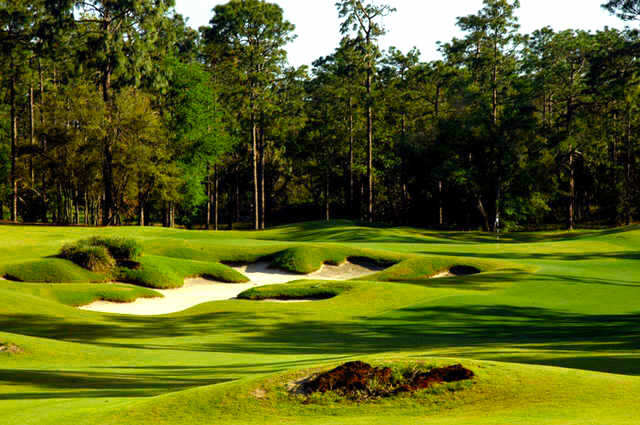 With beautiful oak hammocks and Augusta pines framing the fairways this 18-hole course is surrounded by pristine lakes and beautiful flowering plants. 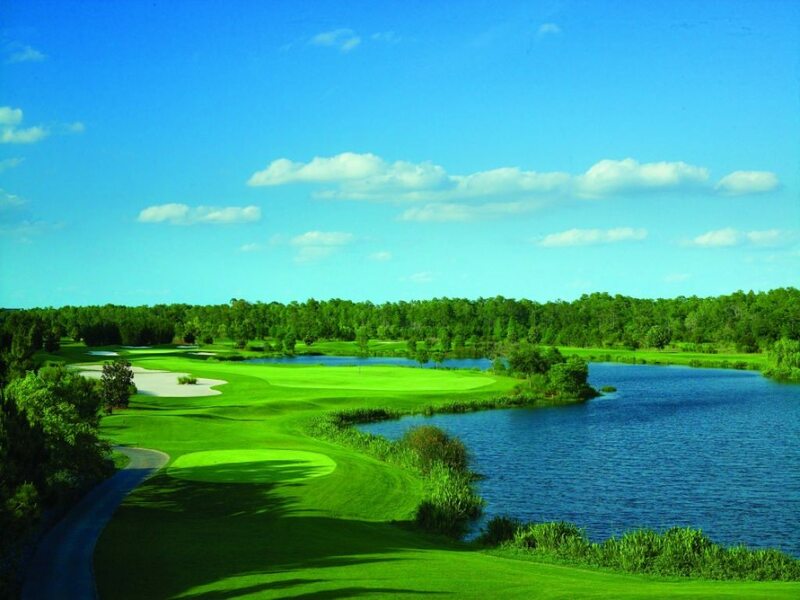 The Deltona Club welcomes you to come play a truly unique course design featuring varying elevation changes designed by famed architect Bobby Weed. 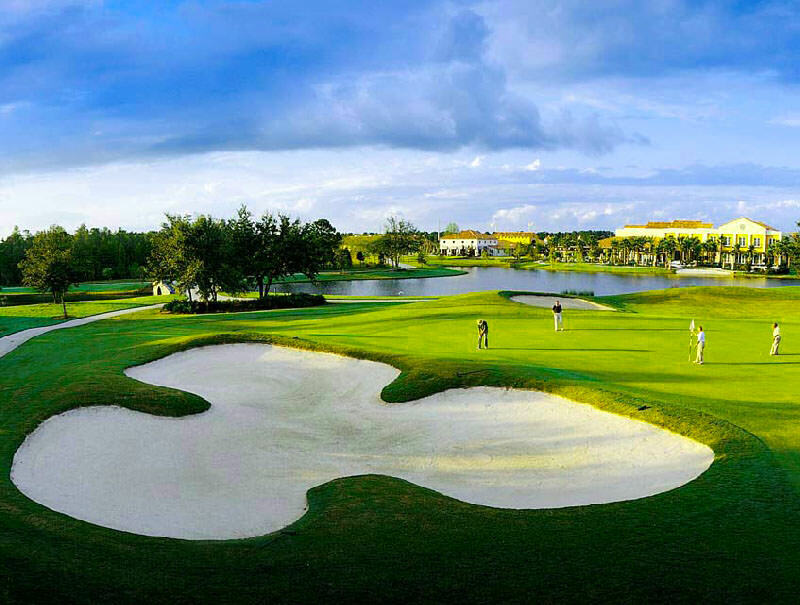 Awarded by GolfWeek Magazine as the 20th Best Public Course in Florida for 2013 and rated by Golf Inc. Magazine as the #1 Golf Course Renovation in Florida. 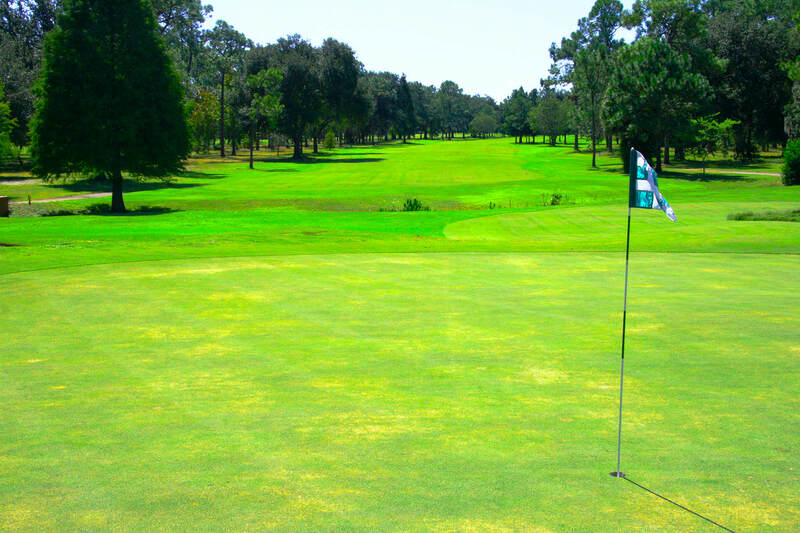 The real attraction at Rio Pinar Country Club is the expert design which has hosted more than 55 years of Orlando golf history. 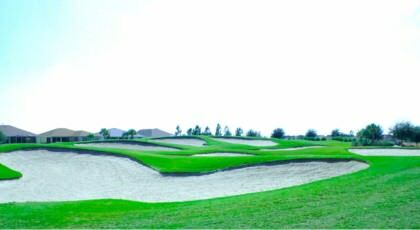 To this day our layout remains one of the finest designs. 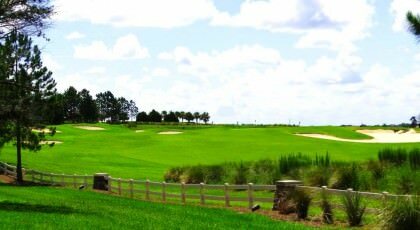 In addition to the past PGA and LPGA Citrus Opens our course continues to host many current professional and amateur events. 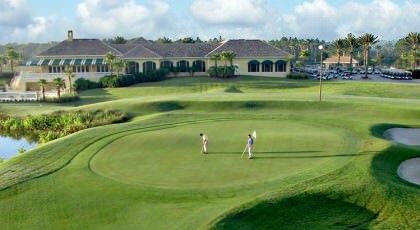 When Eagle Dunes Golf Club opened its course in 2003 in Sorrento Florida it greatly pleased those who have a passion for golf and it quickly earned a reputation as being an enjoyable 18-hole course with few crowds. Mike Dasher created the 7024 yard par 72 course to challenge and excite golfers while still making it fun for all skill levels. 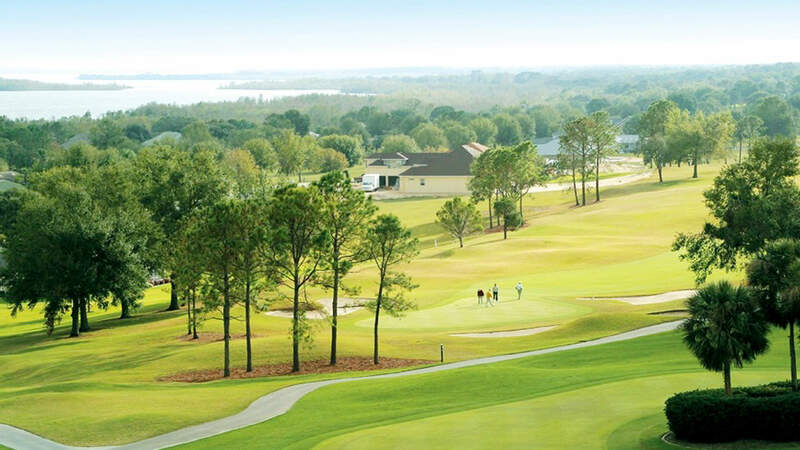 The expansive Skyview championship course offers uncompromising golf nestled in the rolling terrain of Citrus County.Highlighting the course’s topography are elevations to 260 ft. above sea level providing some of the most attractive fairway scenery in Florida and the highest point of any golf course in the state. 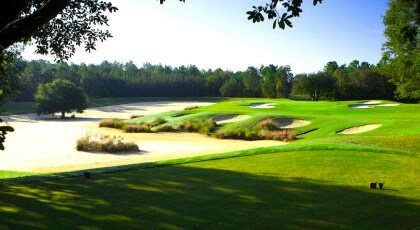 A Challenge to Golfers of All Levels!Hole 17 of the Candler Hills Golf Course.We offer an expertly manicured golf course shot-making long and short game practice area PGA and LPGA professionals on staff and regularly scheduled special golf and social events. 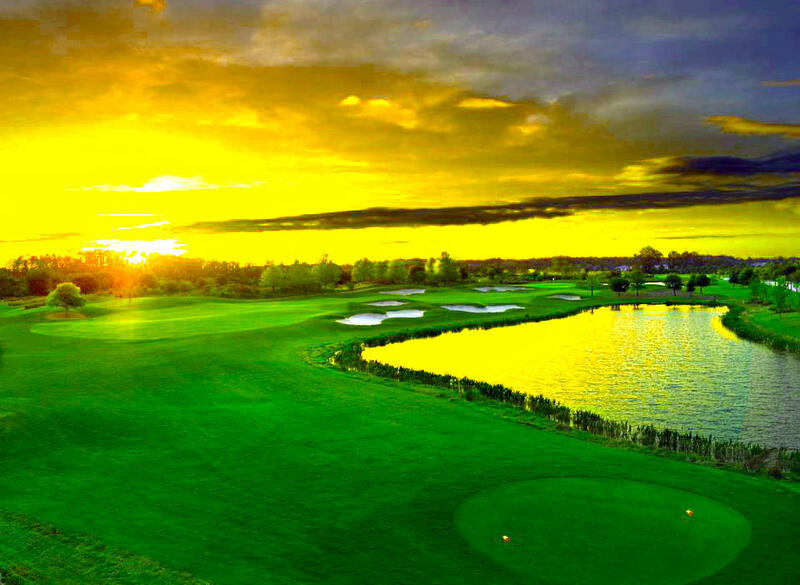 From the time the golf course opened in 2008 it has been an instant classic. Ocala in Central Florida is a great destination for all golfers – and Stone Creek Golf Club is no exception. 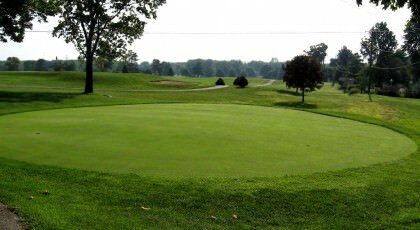 Stone Creek Golf Club offers a delightful golfing experience for all skill levels. 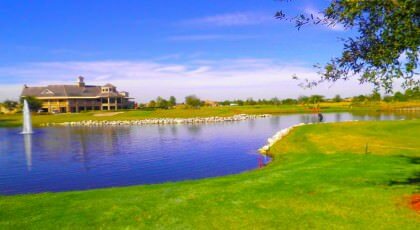 The 18-hole Terry-Doss designed championship golf course showcases panoramic vistas of all areas of the course including the stunning lakes integrated throughout. 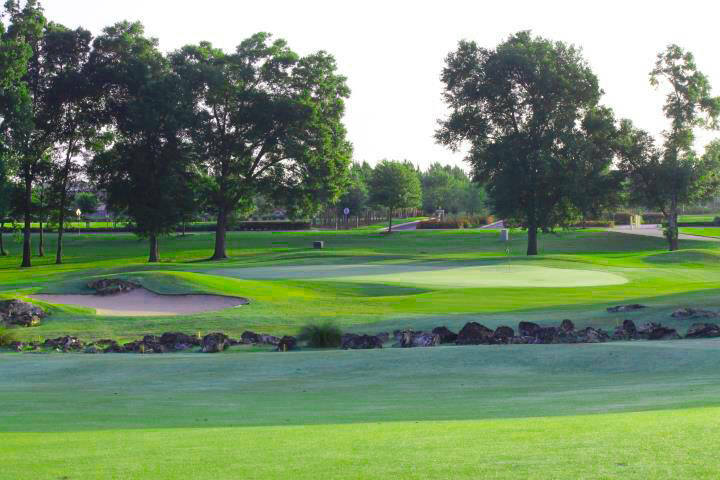 SummerGlen's 18-hole championship course offers challenging play ranging from 6.673 yards from our Gold Championship tees... to 4933 yards from our Red Ladies Tees. 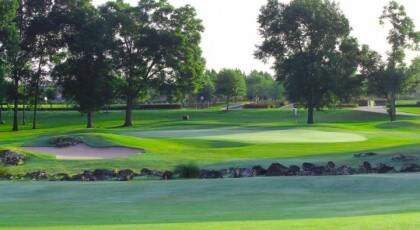 With broad open fairways yet demanding roughs SummerGlen offers a fun but challenging venue that you can enjoy virtually every day of the year.